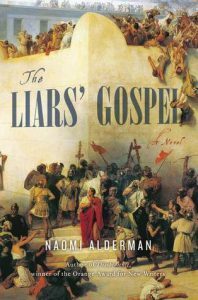 This is a novel of historical fiction reinterpreting the life and death of Yehoshuah (Jesus) as told by four new narrators. His mother, Miriam (Mary), is spurned throughout her life by her cold and querulous son. Deeply disappointed in his life, and his death, she has no choice but to carry on for the sake of her other children. His disciple, Iehuda from Queriot (Judas Iscariot), desperately tries to keep his sincere young friend and teacher from betraying his own principles and going on an ego trip like no other. Iehuda reaches his tipping point when Yehoshuah makes clear that his own comfort and glorification is more important to him than caring for the poor. Caiphas the high priest is mostly concerned with placating the Romans without violating God’s precepts about the Temple – and with testing his wife for her suspected adultery. He has some sympathy for the poor young peasant zealot who caused a ruckus in the temple, but then Yehoshuah makes the mistake of speaking God’s name out loud, thus incurring the mandatory death penalty. Bar Avo (Barabbas) outsmarts Pontius Pilate and goes on to a life of pillage and murder. His belief that God gave the land to the Jews is justification enough in his mind for him to commit the most heinous of crimes. 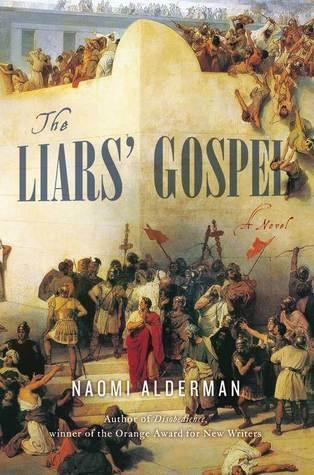 This is a fascinating take on the times, powerfully portraying the pre-modern mindsets of both the Jews and the Romans as well as the texture and feel of life everywhere – in the peasant fields and houses, within the temple walls, and out in the raucous streets. The pragmatic brutality of the Romans prevails again and again over the suicidal zealotry of the Jewish rebels. The author seems to be making the point that the priest class’s slavish devotion to strict religious rituals borders on the absurd. For example, she describes in detail the test for adultery in which the high priest’s wife is required to drink a special pitcher of water. If she then becomes pregnant – it is proof that she did NOT commit adultery! Whaaa?? The priests’ utter conviction that these arcane rituals are required by a meticulously picayune God parallels the zealots’ conviction that a bloodthirsty God requires them to kill their way out from under the Romans, even to the point of murdering their own people just so they can blame it on the Romans. Yehoshuah plays a very small role in this story, as he did in the history of the Middle East at the time, and he doesn’t come off looking nearly as good here as he did in those other four gospels that we hear a lot more about. This book is a little slow starting as it (no doubt accurately) portrays the peasant life of Miriam and her fellow villagers, but it’s a great read for anyone interested in the subject.